Consider these and other course offerings as a Family, Group of friends, or co-workers get together and skill builder! If you do not see the class you are interested in on the calendar, please contact us to check on availability and we can put one on for you. California CCW Permit Training (Concealed Weapon Training) – $90 – Widely held to be the class that “Starts where every one else ends”! Exceeds the California State minimum requirements while meeting the requirements of individual jurisdictions. Covers the legal, moral, and social aspects of carrying a concealed firearm in public for personal protection, as well as the safe storage, carry and use of a handgun. Course materials: Bring a lunch, water, holster and ammunition carrier designed for concealed carry, hearing and eye protection for the range, and 150 rounds of ammunition. This course exceeds the State’s minimum requirements. Contact our staff if you would like to set up a class for yourself or a group. Classes will also be scheduled through out the year. Advanced CCW Handgun (GF 1) – $150 This is a practical, all range follow on class for the Concealed Carry permit holder who is wanting to ensure their skills are up to the task of personal protection, 24/7. Focus is on presentation, movement, observation, communication, shooting accurately and quickly. 200 rounds, strong side belt holster and spare ammunition carriers required. Bring your own lunch, water, eye and ear protection, and billed hat or cap. Knee pads optional. Families and Partners Defensive Tactics – $200/Couple – How to work together and build upon shared strengths, and abilities. Work the whole family into your defensive strategy and game plan. If you or your significant other is injured or not home, does your family know what to do? Ensure they do and incorporate them into your plans. Mature young adults, the elderly, roommates, extended families, and others will find great benefit from this class. How to work as a team, safe room strategies, rendezvous plan after a disaster, movement with covering fire and how to engage as a team and lots more will be discussed. 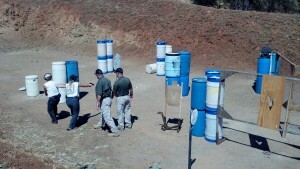 Approx 100 rounds live fire during this course. Bring lunch, water, eye and ear protection, strong side belt holster and ammunition carriers. Defensive Handgun (GF 2) – $295 Do you carry or use a handgun for personal defense? Do other loved ones depend upon you to protect them and keep them safe? Are you ready, willing and able to do this 24 /7, rain or shine? Can you deploy your firearm and place two or more hits center mass and stop your threat in less than 2 seconds? Can you do this every time, all the time? Can you engage multiple adversaries while your family retreats to safety? Are your skills up to preventing the attack, or stopping it if not? How are your malfunction skills? ‘Cause Murphy says “You do not rise to the occasion, but rather you sink to the lowest level of competency”. 300 rounds (400 is better), strong side belt holster and spare ammunition carriers required. Bring your own lunch, water, eye and ear protection, and billed hat or cap. Knee pads optional. This is a Multi-Gun Course of Instruction Combining the Use of a Rifle & Shotgun with your Handgun. When using any firearm to defend yourself in a deadly encounter, it is imperative that you receive proper training beforehand. In order for you to have any chance of success you must have the proper attitude and be knowledgeable and skilled in the necessary techniques. This is especially true when using a long gun with a handgun. Lack of proper training only leads to failure or worse; disaster. This course is designed to give you the knowledge and teach you the skills & Techniques necessary to successfully combine the use of a Rifle & Shotgun with your Handgun in a defensive encounter. Use of firearms and tactics with a vehicle are covered and gloves must be worn, so bring gloves you can operate your firearm with and that will protect you from sharp metal. Counter Sniper Observation and Negation – $400 – CSON (pron: Season) – The occurrence of sniper warfare has led to the evolution of counter-sniper tactics. Such tactics aim to reduce the damage caused by a sniper to a fighting force, which can often be harmful to both fighting capabilities and morale. 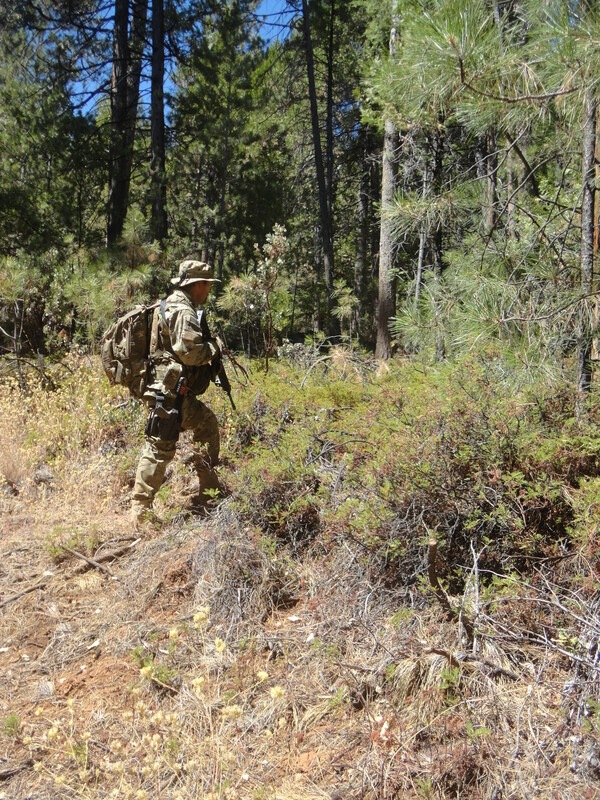 Law Enforcement has adopted much of the Military doctrine but generally without the camouflage considerations and with different rules of engagement in most part. Popular culture and entertainment has glorified the “sniper” persona resulting in gangs, militias, and other groups adopting some measure of a sharpshooter to varying degrees and abilities/skills. Therefore – there is always a possibility of being engaged by a marksman, trained or otherwise, well equipped or not, who may be a threat. Your task is to prevent them from being successful. SO…… What does this mean for the Prepper, Homesteader, Survivalist, or WOROL* Family? In a post collapse situation, it may very well come about that a hostile force (hostile to you – could be domestic, foreign, militias, gangs or even LE) wants you or your family captured or removed. You need to be aware of your surroundings, and potential threats. Before exposing yourself or your family you need to be able to detect a hidden marksman, both near (25-600 yds) and far (600yds +). To do this you must have an understanding of your enemy sniper, an understanding of sniper employment, marksmanship, camouflage and basic tactics. Most of all, you must intimately know your area. Approximately 16 hours in length and requires 100 rounds minimum. Call to discuss equipment requirements. AR Rifle Introduction – $150 – One day class. Call for quote and details. This is your introduction to using the AR platform rifle for defense or otherwise. How to care for it, common breakage parts, equipping the rifle and optional accessories, how to adjust sights and shoot a 50 or 100 yard zero. AR Tactical Rifle – $295 – 2 Day class – This training is specific to the AR type platform. Training is adaptable to other “carbine” or “black” rifle styles. Classroom and Range instruction included. 300 rounds, spare ammunition carriers such as belt and mag pouches or vest pouches required. Bring your own lunch, water, eye and ear protection, and billed hat or cap. Knee pads optional. Patrol Rifle – $300 – (AR Tactical Rifle or equivalent is required) This is advanced training! Do you use your rifle and sidearm for personal or property defense? Are you looking to become more tactically proficient with your rifle pistol combination? This two day class is geared towards the person who uses or integrates a rifle into their defensive strategies. 300 rounds of rifle and 100 rounds of pistol ammunition, spare ammunition carriers such as belt and mag pouches or vest pouches required. Bring your own lunch, water, eye and ear protection, and billed hat or cap. Knee pads optional. Defensive Shotgun – $150 -This 8-hour course covers the use of a shotgun inside your home for defending you and your family. The first 4 hours will be in the classroom followed by 4 hours on the shooting range. The Shotgun is a versatile firearm but when used in a defensive situation or in close quarters, such as your home, it has some complexities and it requires proper training to be used effectively. We will teach you the fundamentals you need and give you the skills necessary for you to effectively use your shotgun as a home or property defensive weapon. 150 rounds #7.5 or 8 bird shot. Bring your own lunch, water, eye and ear protection, and billed hat or cap. Tactical Shotgun – $150 – This 8-hour Course covers the use of a shotgun outside the home in a “Tactical” or unknown environment. Some of the topics listed may appear similar to those covered in the “Defensive” Shotgun course, but “Tactical” Shotgun training is much broader covering a greater variety of situations, including more advanced tactics and handling techniques, while transitioning to different types of ammunition. The emphasis is on movement, the use of cover, and keeping your shotgun in the fight. 10 rounds 00 Buck Shot, 5 rounds of slugs, 200 rounds of #7.5 or 8 Bird shot. Bring your own lunch, water, eye and ear protection, and billed hat or cap. Handgun Skill’s – $75 / Hour – User defined class to improve skills or master a problem. If you need to “break the code” on a problem or sticky area, and take your abilities to the next level, lets us help you out. Time and round count will be dependent on the individual’s needs. Women’s Self-Defense – $150 – Rather than having to rely on unarmed skills or trying to remember what moves you need to do when grabbed by the hair, let’s learn to recognize, avoid and defuse situations; while having the handgun, and the knowledge and the skills to use it effectively if need be. We will also cover less than lethal weapon options. Pros and Cons of each self-defense options will be presented allowing you to make an informed choice for yourself or your children. California Department of Justice Firearms Safety Certificate (FSC) Instructor – $100 – Provides the training and skills necessary to apply to be an instructor for the California FSC program. Reloading Seminars – $50 – Introduction to reloading metallic cartridges. Review of the equipment needed, basic loading techniques, and concepts behind loading a rifle or pistol cartridge. Participants will actually reload cartridges as this is a hands on class! Hammer Stryke Self-Reliance Training, Inc is unique in that we provide a positive, interactive approach to all of our training utilizing the best and latest diagnostic tools, teaching aids and knowledge to enable you to get the utmost out of your time and efforts.